The tripod could comfortably accommodate a smaller point-and-shoot camera, but you’d want to make sure the thing is really set before letting it go. The tripod held the camera in position pretty well and it was easy to adjust. 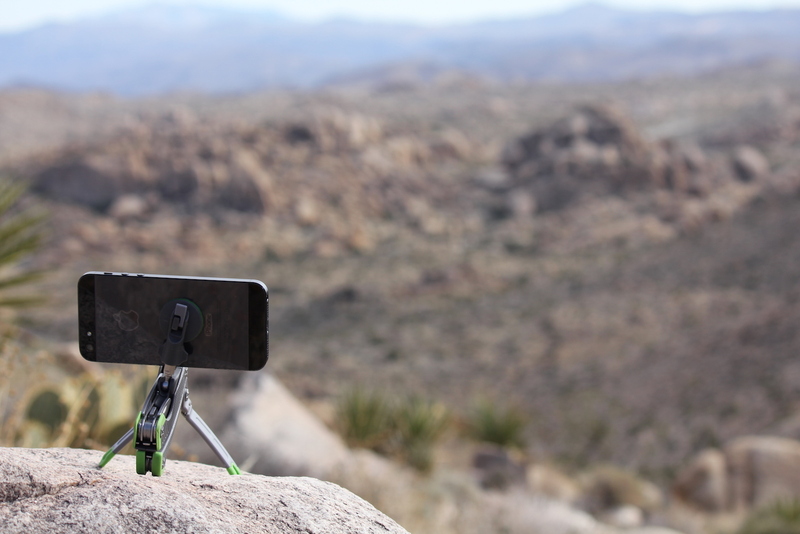 It never felt like the the tripod was going to tip over when I used it with the phone. 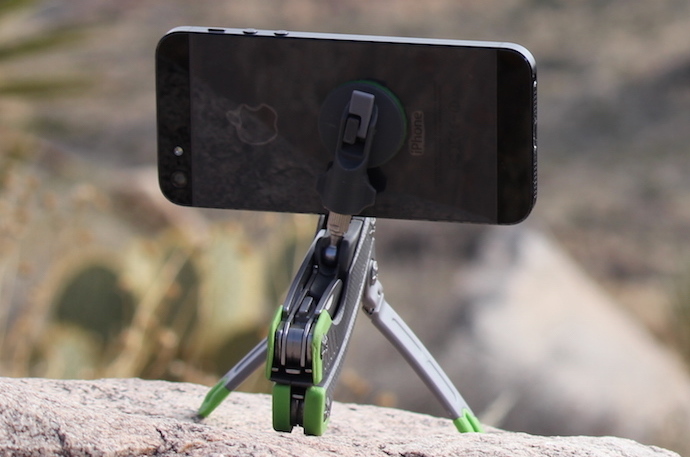 This tripod is not going to work for professionals with a large DSLR, but it will work great for capturing more noble selfies, time-lapse videos, and night shots. 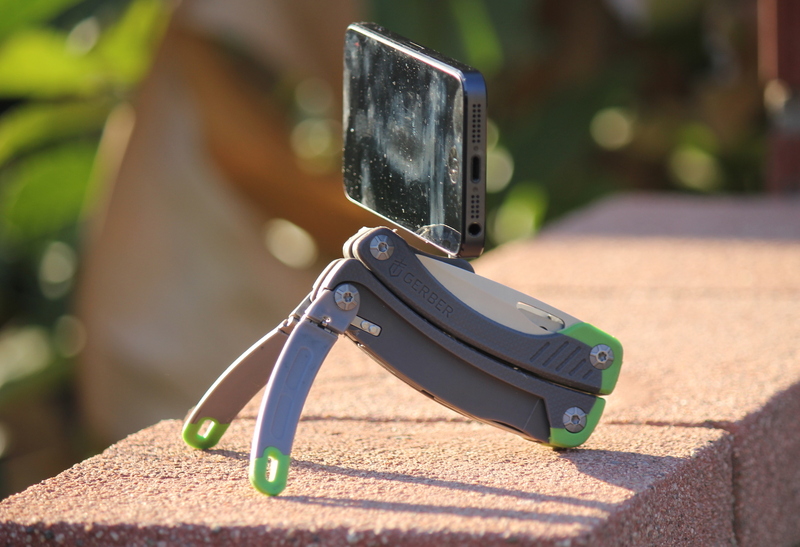 Along with the tripod, cellphone attachment, and screw-in mount, the multi-tool features 12 components: two blades, three screwdrivers (Micro Flat, Square Cross & Medium Flat), a bottle opener, pliers, and wire cutters. All of these components are made of 420J2 stainless steel, which is known to be highly corrosion resistant and inexpensive. People have varying opinion about this steel, but it more than does its job on the Steady Tool. Initially, the components were extremely difficult to take out. Specifically, the two screwdrivers (micro flat and medium flat with bottle opener) were almost impossible to open. In fact, I nearly chipped my nail trying to pry the things open. More frequent usage of these tools might make it easier to open, but it seems like the fault is in the very low placement of the nail nick. My most used tools on the multi-tool were the two blades. Unlike the other components, the blades open with little effort. The larger blade has a straight edge except for a small serrated section near the base. The functional blades came sharp and retained their edge quite well. Unfortunately, there is no locking mechanism for the blade, so it can’t be used as vigorously as you might desire. Still, that’s only a minor complaint since that’s a feature many multi-tools don’t have. One of the my least favorite aspects of the knife is the plastic handle. It does make the multi-tool surprisingly light (weighing 5.8 oz), but it’s a bit bulky. The handle makes the whole tool feel a bit less rugged and made me extremely cautious when using it because I didn’t want it to get wet or break. The handle is definitely a downside, but it’s in no way a deal breaker. It has a nice grip and gives a different look, but it will take some acclimation for the user. The bottom edges of the tool have a neon green coloring, most likely to make it visible if dropped. I maintain that it would probably be better served with an all-metal handle. 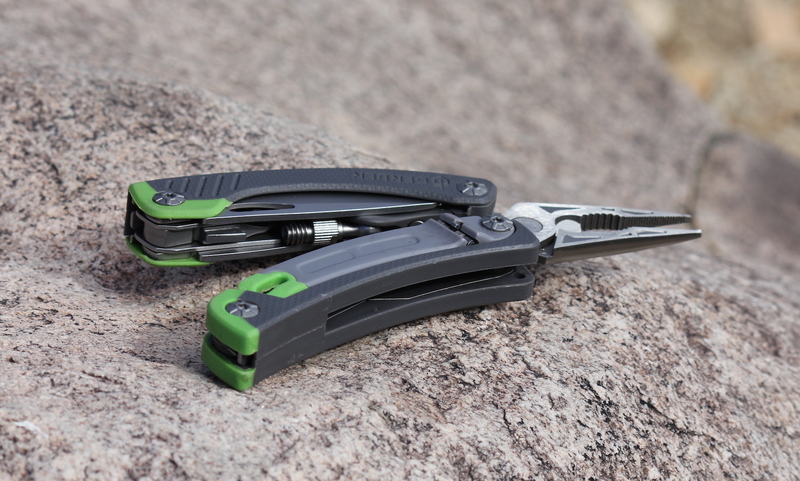 The Gerber Steady Tool, winner of the National Geographic 2012 Gear of the Year Award, is unique and functional. Despite some downsides, such as the plastic handle and difficulty opening some tools, the tool is a great companion for weekend adventurers who also fancy themselves as amateur photographers. This is definitely not designed for everyday carry, so I plan to keep the knife (within its included sheath) inside my hiking backpack. 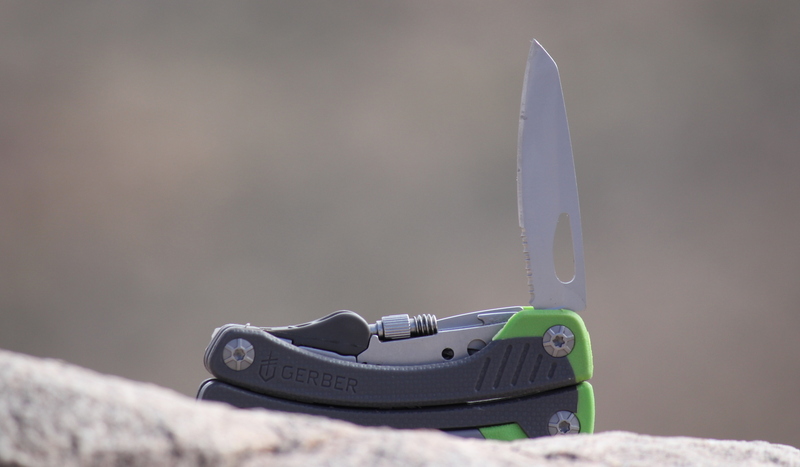 If you’re looking for a solid multi-tool to accompany your regular hiking gear, the Gerber Steady Tool is a great option.